Historical photo of downtown Bangor provided by the BDN. The Bijou Theater was a main attraction when it opened its doors in the early 1900s. Originally owned by former Bangor Mayor Edward H. Blake, The Gem opened in 1910 and was later renamed as the Bijou within the same year. 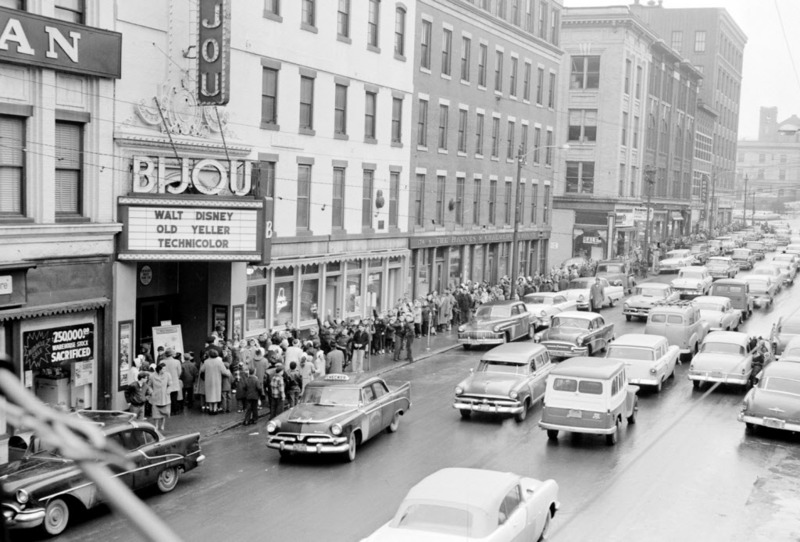 Once located on Exchange Street, the monumental Bijou fell victim to the urban renewal of the 1960s.A future hope for the Queen City’s growing art scene could be another downtown cinema. Bangor is continuing to become a more art-centered community. Coastal towns in Maine such as Belfast and Rockland have flourished with public art projects and downtown theaters that offer entertainment. For Bangor to make a shift toward establishing itself as a destination art scene, there has to be more diversity. One project that could help is a new downtown theater, similar to those that once stood in the city decades ago. Michael Grillo, Chairman of the Department of Art at the University of Maine and one of the founding members of the River City Cinema, already envisions Bangor’s future in the arts. Since it first began in 2001, The River City Cinema has screened many films, gone through some hardships and rebuilt itself into a unique part of Bangor’s art scene. The cinema secured a space located on 81 Main St in January 2012 before it abandoned the project in January 2013 due to code complexities. Kathryn Jovanelli of the University of Maine Museum of Art says the future of Bangor is more than just about business. “What makes a community an art community are, of course, the people. We are fortunate to live in an area with many diverse cultural organizations, including several theater companies, the Bangor Symphony, many dance companies, live music and various arts organizations,” Jovanelli said. Opening a cinema in downtown Bangor does have its challenges. With a city of 33,000 people, there can be problems with community involvement, not to mention the space that would house a movie theater. “One has to understand that the day of the stand-alone theater has long ended,” Grillo said. “Mass movies of course run at the multiplexes, so smaller houses - say, Railroad Square in Waterville or Reel Pizza in Bar Harbor - focus on independents and foreign [films]. Still, running just movies has become increasingly difficult economically, so most of the smaller houses have complementary activities - typically music gigs as at the Grand in Ellsworth and the Strand in Rockland. Grillo understands what it takes for Bangor to make the shift into an art community. “The best thing to make it happen: continuing the arts revitalization in the greater Bangor area, with more and more students and other community members getting involved," he said. With possible challenges come great rewards. The Railroad Square Cinema in Waterville has experienced those rewards firsthand with the success of their theater. 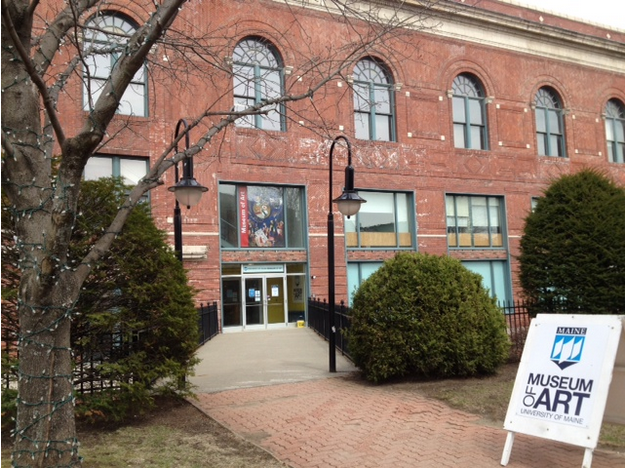 “Railroad Square Cinema is a huge part of the arts and cultural scene in Waterville and contributes to the city’s creative cluster, which also includes the Colby College Museum of Art, the Waterville Opera House, Common Street Arts and the Waterville Public Library,” cinema Executive Director Shannon Haines said. Bangor’s art scene could use a shot in the arm. Reopening a downtown theater might be the way to do it.